Born: 30 June 1905, Durban, South Africa . Died: 14 March 1987, Pennington, KwaZulu-Natal, South Africa . 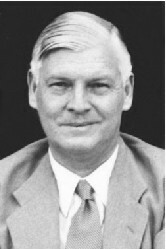 John Coles obtained his BVSc degree at the Veterinary Faculty of the Transvaal University College (soon to become the University of Pretoria) in 1926. After a stint at the Allerton Veterinary Laboratory, near Pietermaritzburg, he moved to Onderstepoort where he became the first lecturer in avian pathology in 1931 and was awarded a Commonwealth Fund Fellowship for further study in the United States. After his return he also lectured in dietetics, which led to his appointment to the National Nutrition Council, and to South Africa being the first country to develop balanced poultry rations. Coles was a pioneer in the study of rickettsial diseases, discovering psittacosis in pigeons and demonstrating that ophthalmias in cattle, sheep, goats and poultry are caused by rickettsias. He was also the first to demonstrate the inheritance of osteopetrosis (marble bone disease) in poultry and tick paralysis in ducks and geese, and to describe visceral gout. His work was published nationally and internationally. In 1959 he resigned and started his own poultry breeding operation at Pennington in Natal. In his later years he served as a member of the Natal Parks Board. Coles, J.D.W.A. Psittacosis in pigeons. Onderstepoort Journal of Veterinary Science and Animal Industry, 1940, Vol. 15, pp. 141-148.